ST blog importer module – Exporting & Importing blog posts via csv files. 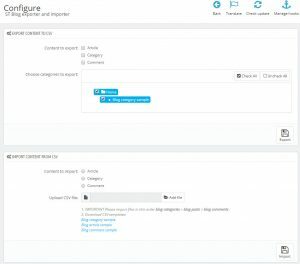 ST blog importer module helps you export/import blog posts, blog categories and blog comments from one site to another site via csv files. 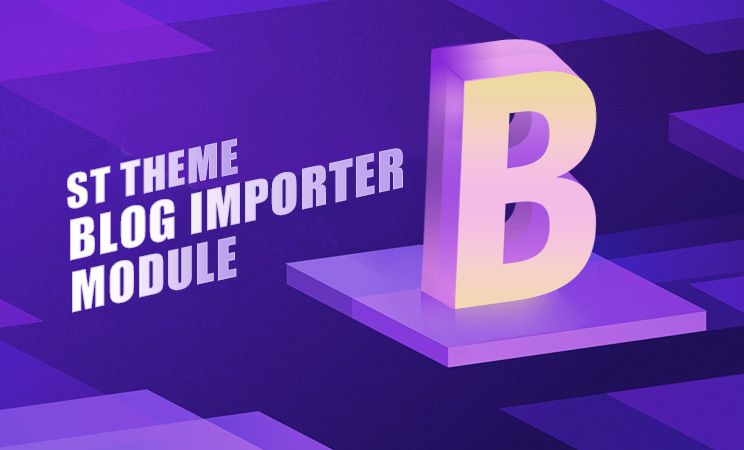 ST themes blog importer module – Import blog post via csv files. ST blog importer module is for the blog module of Transformer theme and panda theme only. 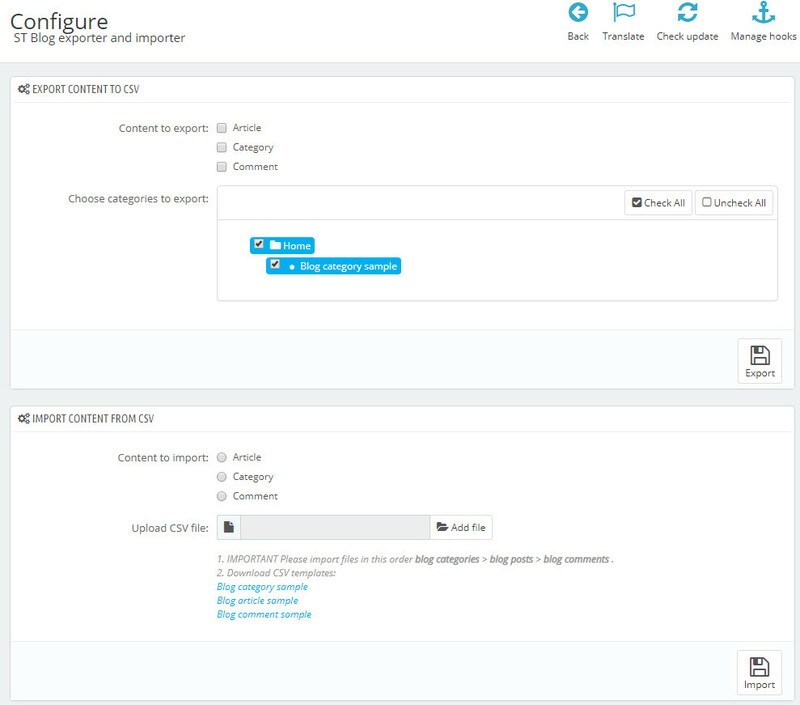 It can help you migrate blog posts, blog categories and blog comments from one site to another site. Export ST blog posts to a CSV file. Export ST blog categories to a CSV file. Export ST blog comments to a CSV file. Import posts to ST blog module from a CSV file. Import categories to ST blog module from a CSV file. Import comments to ST blog module from a CSV file. Migrate ST blog content from 1.6 to 1.6, 1.6 to 1.7, 1.7 to 1.7 and 1.7 to 1.6. Possibility to import your WordPress posts to the ST blog module. You need to export WordPress posts out to csv files, and then do some changes to them to make them to the same as provided csv templates, so you can import changed csv files to ST blog. Multi languages support, you can import blog for several languages in one go. Blog cover and gallery images can be exported and imported too. Possibility to edit ST blog posts, categories and comments in bulk by Exporting content out to csv fiels > Editing content in csv files > Importing csv files back. This module is compatible with PrestaShop 1.6 and PrestaShop 1.7.